If you travel to Europe, Copenhagen should be on your list! It’s a great city, with a plethora of amazing places to discover! 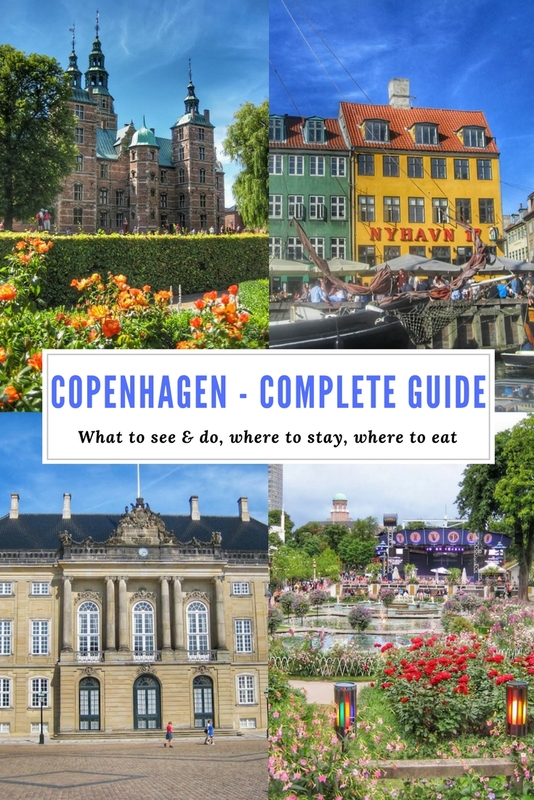 Here is a complete travel guide to Copenhagen written by someone who is there for several months now and absolutely loves the city – Elle from Dressing Danishly. 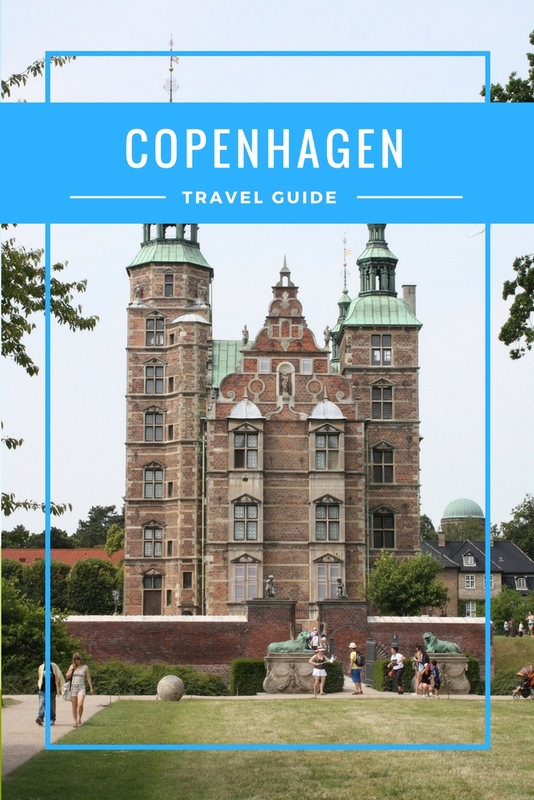 The guide includes famous and off the beaten path attractions, where to eat and where to stay in Copenhagen, as well as tips for visiting Denmark’s capital! Home to half a million people, Copenhagen is not just the capital of Denmark, but also the capital of cool (and I have no shame in saying that!). People tend to dismiss Copenhagen as being a really expensive place; but it doesn’t have to be, and in any case, you shouldn’t let that put you off! 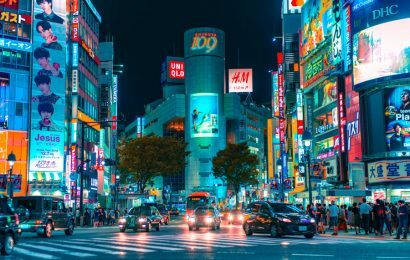 Alongside the touristy destinations, there are lots of hidden hotspots in the form of amazing cafés, shopping and bars. It’s a city that’s just waiting to be discovered, and somewhere you really need to go! This is THE most iconic place in all of Copenhagen. Just google the city and the first thing you’ll see are Lego-like buildings lining canals filled with boats. That’s Nyhavn! Grab a drink at one of the outdoor cafés and soak up the atmosphere as you wander round this picturesque area. 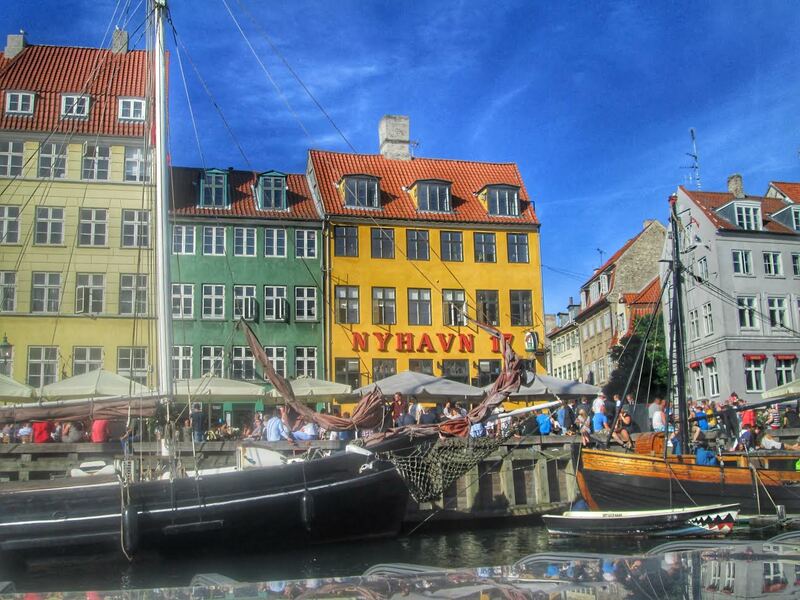 Boat tours of the city also start at Nyhavn. If you’re short on time, I’d recommend taking a boat trip, as it means you get to see lots of Copenhagen’s top attractions in 90 minutes! I love Tivoli Gardens so much! It’s a theme park in the heart of the city, and even if you don’t like fairground rides, it’s still worth a visit! The entrance fee is 120 DKK, or for an extra 230 DKK, you can purchase an unlimited ride pass. Tivoli is open from April until December, and for Halloween and Christmas, the whole place is decorated, so it’s really atmospheric. There are so many restaurants and food stalls here – it’s a great place for cheap eats. I recommend trying the churros with caramel sauce! This is the longest pedestrianized street in Europe, and if you’re visiting Copenhagen for the shopping, then you’ll spend most of your time down here! You’ll find flagship stores of many international and Scandinavian brands – one particular highlight is luxury department store Illum. Strøget connects the town hall square to Kongens Nytorv, so even if you aren’t looking to shop, you’ll likely walk up and down this street several times anyway! A ten minute walk from Strøget, you’ll find Rosenborg Slot. You can pay to go into the castle, or you can just wander round the gardens instead. It’s particularly nice in the summer when you soak up the sun on the benches in the rose garden. 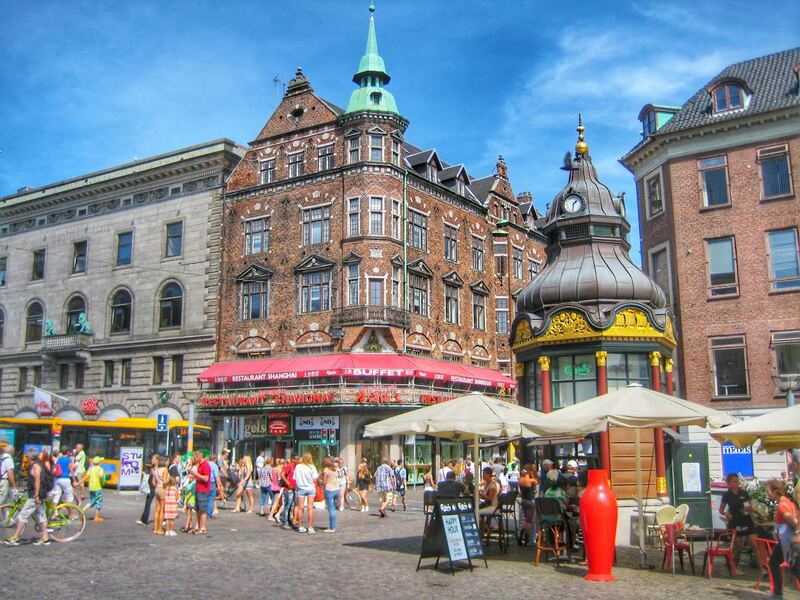 You’ll find lots of Copenhageners hanging out here when the weather is warm! 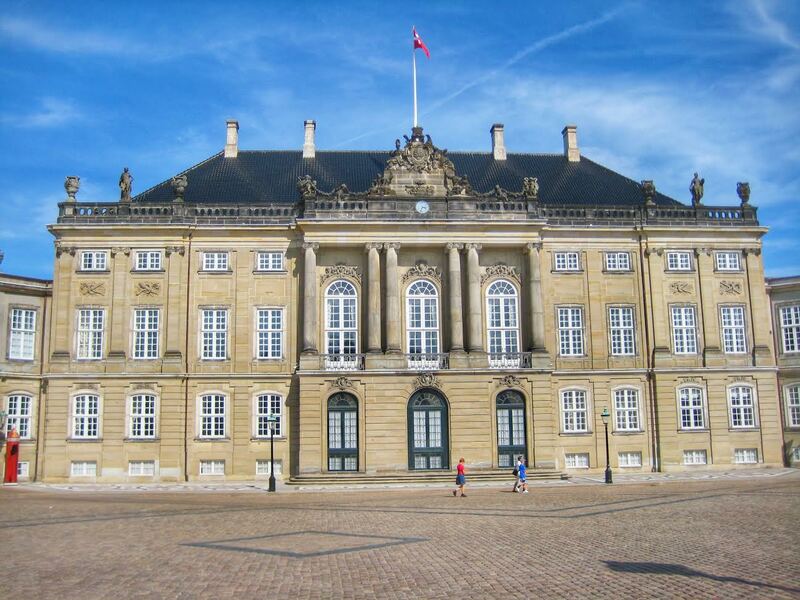 This is the official residency of the Danish royal family, and situated just behind Nyhavn, it’s really easy to get to. If you get there for 12pm, you can watch the changing of the guards, which takes place every day. This a 4km stretch of manmade beach just a ten minute metro ride outside the city centre. 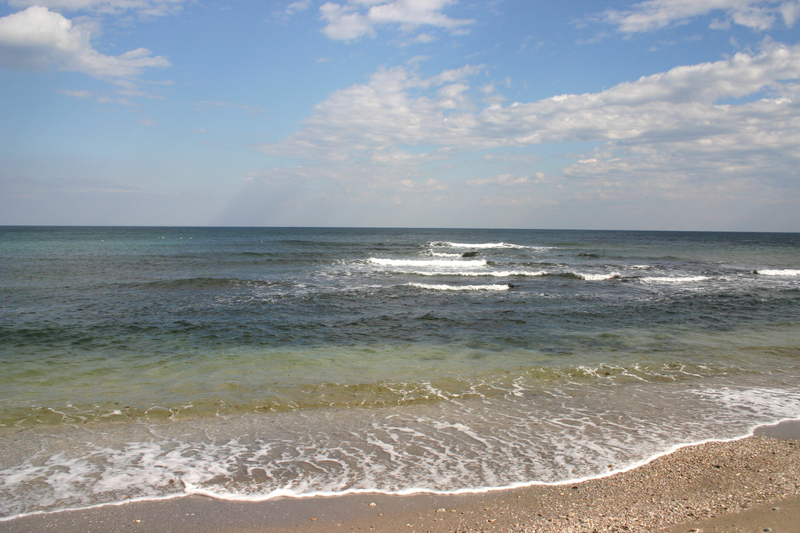 I probably wouldn’t recommend going for a swim (even in the summer, the Baltic Sea is freezing! ); but it’s a lovely place to go for a walk. On a clear day, you can enjoy views of the Øresund bridge, which connects Copenhagen to Malmö, as well as the Turning Torso (the most iconic building in Malmö). The area was established in 1971 by a group of hippies, and is essentially its own society, free from Danish law. For this reason, you’re asked not to photograph or film when in Christiania; but the locals are welcoming and you’ll find plenty of music venues, art galleries and cafés to while away the hours. Located in the Islands Brygge area, Nokken is such a charming place that you’ll want to visit again and again! Its cute sheds and manicured lawns make you feel like you’ve stepped right into the story of Hansel and Gretel. Enjoy a drink by the sea as the sun beats down; or rent a bike and cycle down one of the trails that eventually leads you back to the city centre. It’s a true area of calmness within the capital. 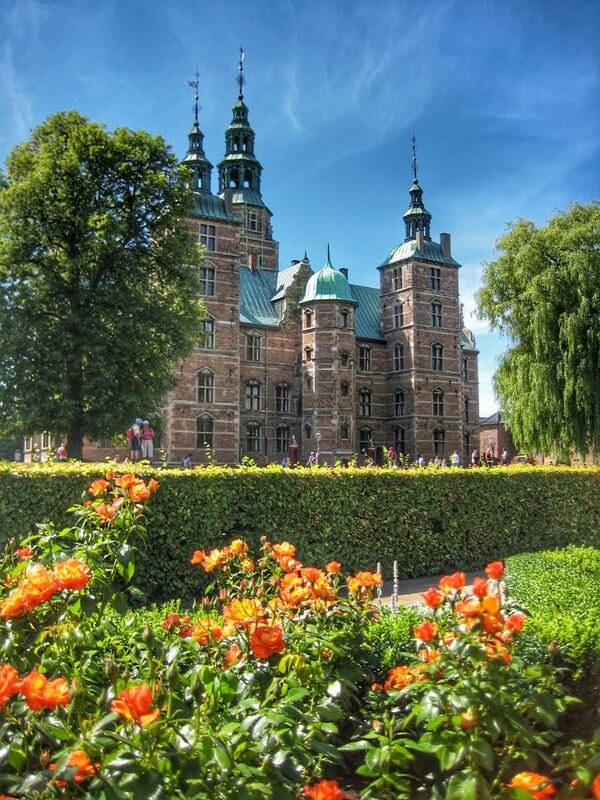 Rosenborg Slot is beautiful, but its prime location means it’s often packed (especially in the summer). For somewhere alternative, take a trip out to the residential area of Frederiksberg; home to Frederiksberg Park. 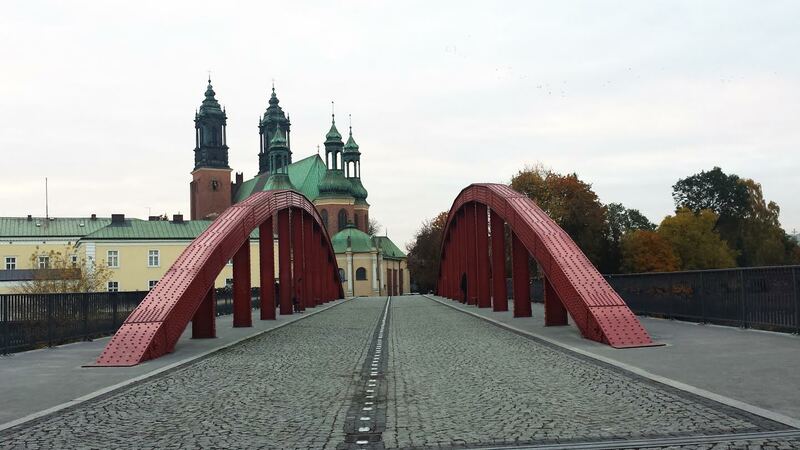 There’s so much to do here: with winding canals, a Chinese Pavilion, Frederiksberg Palace and Copenhagen zoo. On a warm day, you could easily spend the whole day here! When in Denmark, you’ve got to sample the pastries! I’ve tried a fair few, and I’ve got to say that my favourites have been at Lagkaghuset. A Danish chain, there must be at least a dozen dotted across the capital. Try the classic ‘Kanelsnegl’ (translated to ‘cinnamon snail’), or opt for my personal favourite: the Direktørsnegl, filled with chocolaty goodness! It’s got such a cute retro vibe, and serves some of the best breakfast in Copenhagen – from eggs, to pancakes to French toast! They also serve cocktails in the evening too. Located in the hip Frederiksberg district, it’s one place you need to check out when you’re next in Copenhagen! They serve the absolute biggest sandwiches I’ve ever seen! This café is the epitomy of ‘hygge’ (Danish term that loosely translates to ‘cosy’). Mormor is Danish for ‘grandma’, so it only seems fitting. It’s in a great location, in between Amalienborg and Nyhavn, so if you fancy a spot of lunch in between sightseeing, then Mormor’s is easily reachable. Oh my god, the cakes are just amazing here! If you have a sweet tooth like me, then you’ll think you’ve gone to heaven when you’ve entered Holms Bager! Whether you’re looking for something for lunch, afternoon tea – or perhaps picking up a cake for dessert; this is one place you need to visit! Home to Copenhagen Street Food, just cross the bridge over from Nyhan, and you’ll end up on Papirøen. There are lots of food and drink stalls within the warehouse – you can pick up a bottle of beer, a burger, a slice of cheesecake and everything in between! Food is really reasonably priced, so if you’re on a budget then it’s a good place to visit. A lot of locals and tourists hang out here, so join them and soak up the atmosphere. Gorilla can be found in the meatpacking district of Vesterbro, and its unpretentious vibe makes it feel very welcoming. The menu is Mediterranean-inspired with a selection of fish, meat and pasta dishes. If you can’t make your mind up about what to have, then try the tasting menu of 10 – 15 sample dishes, to share with your friends! It’s a basic, no-frills hotel and the rooms are tiny; but if you’re looking for somewhere cheap to stay, and value your own private bathroom, then Cabinn City can be the ideal choice. I’ve stayed here a few times and whilst it’s basic, the beds are comfy and let’s face it: if you’re in a foreign city, you’re unlikely to spend much time in your hotel anyway! 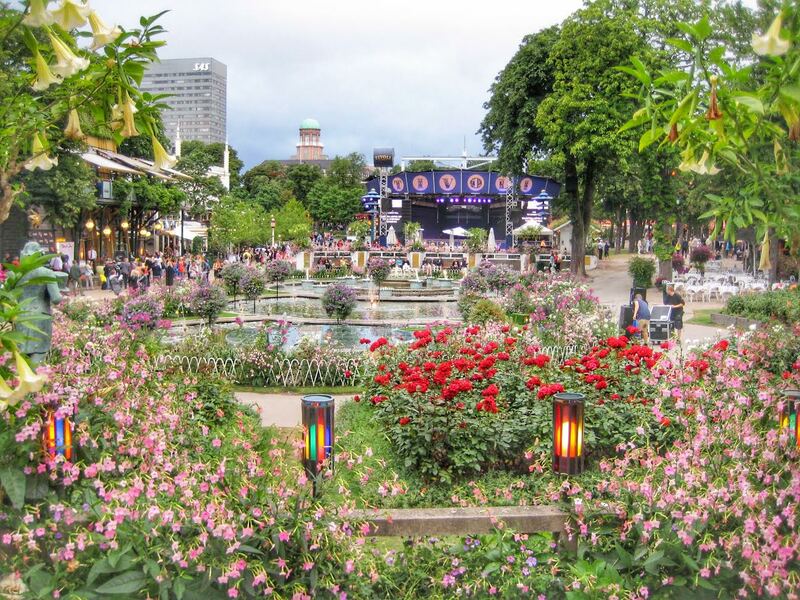 You can find the hotel just behind Tivoli Gardens, a five minute walk from the train station, so it’s a great base for exploring the city. I stayed here on my most recent trip to Copenhagen, and I loved it! It’s a four star boutique that’s located just off Strøget, so it’s really central. The décor is luxurious, and there’s a free mini bar (granted it’s just sparkling water, but still!). We got a good deal on this hotel, paying £115 for a one night stay; and I would definitely stay here again. This hotel is set back from the city centre, in the residential area of Nørrebro, so you can get a more authentic feel to Copenhagen. Plus, there are lots of bars and restaurants in this area to sample, which is always a bonus! Enjoy a buffet breakfast on the terrace each morning, and you can even rent bikes to travel around the city. Don’t fancy cycling? Forum metro station is a short walk away, so you can reach the city centre easily. Copenhagen is a super safe city, so you don’t need to worry too much about safety or security whilst you’re there. 1. The Little Mermaid statue may be iconic, but be warned: it’s tiny, and it’s a twenty minute trek outside the city. Plus, if it’s anything like when I visited it, there will be tons of tourists climbing out onto the rocks to get a photo. Hardly good for your pictures. If you want to see the statue, I recommend you get a boat tour from Nyhavn instead – it takes you right out by the statue so you can get a picture; as well as showing you lots of other sights too! 2. Copenhagener’s LOVE their bikes – so much so, they have dedicated cycle lanes. So just take precaution when crossing the road – you don’t want to accidentally wander into a cycle lane when it feels like half the city is cycling your way! Copenhagen is my absolute favourite city in the world. It’s got such a cool, laid back atmosphere; and with each trip back, I always find somewhere new to discover. If you have any preconceptions about Scandinavia being too expensive, then forget about it; and book yourself a flight to Copenhagen because seriously, you’re missing out! I’m Elle, and I blog over at Dressing Danishly. My two main passions are travel and fashion; and in my spare time you can usually find me travelling around Europe, hunting out the best shops and cocktail bars! Follow Elle’s travels on Facebook, Twitter, and Instagram as well! Churros with caramel sauce, the loveliest gardens and bikes… this must be why Danes are one of the happiest people on earth! Saved this post for future reference! Great tips, which I’ll be using on a visit to Copenhagen this summer! Thanks. 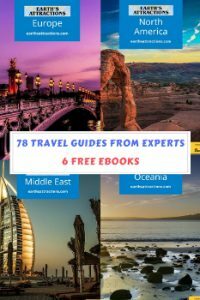 I am planning a trip to Copenhagen in a few months so this was very helpful. I assume most sights in the centre are a few minutes walk? Innumerable of us previously incorporate the likes of net safety or virus security, nevertheless in just some situations, this is not plenty of. taboo subject but generally folks don’t talk about these issues. It’s awesome in support of me to have a website, which is useful designed for my know-how. What’s up mates, fastidious paragraph and good urging commented here, I am genuinely enjoying by these.